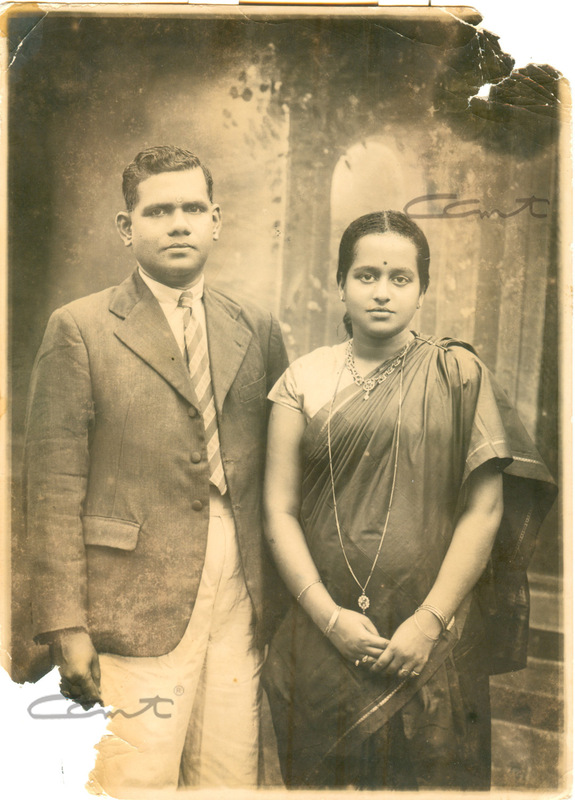 Padmini, younger sister of Balakrishnan with her husband Madhava Menon. Padmini, Balakrishnan’s younger sister, was born on October 13, 1919. She grew up in Poothampalli House, along with Balooppa, as she called him. Her pet name at home was Thankam. Padmini had some problem with her eyesight from childhood. Balakrishnan was very protective and helped her in every way possible. Listen directly to her daughter Jaya Menon. 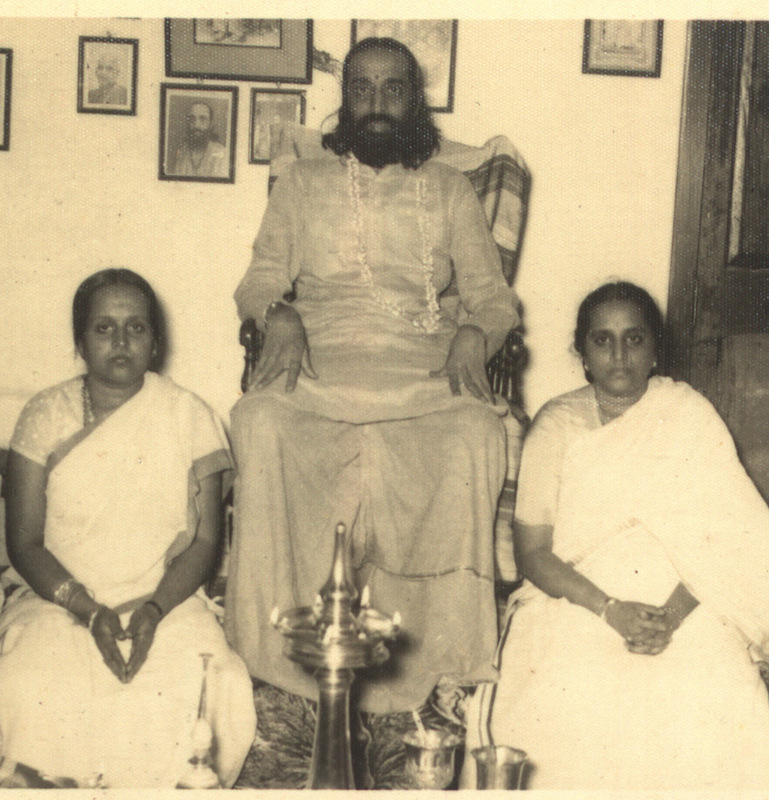 Padmini married Madhava Menon, who gave his full support to Balakrishnan so that he could go to Lucknow and pursue higher studies and become a barrister as Kuttan Menon, the father, envisioned. As Padmini’s eyesight deteriorated in the later years and she could not read, Gurudev sent her recordings of his talks at the jnana yajnas. Drag the divider to the right, then to the left.